It should come as no surprise to learn that I love homemade bread. Not homemade by someone. Homemade by me. In my home. 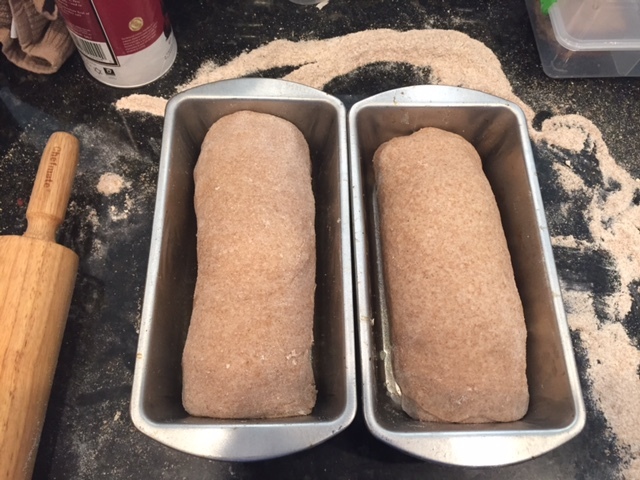 There’s just something about taking a few, simple ingredients – raw honey, whole wheat flour, yeast, water, salt – and watching them transform into something they didn’t closely resemble at the start of the process. Add in some more flour, and then comes the fun kneading part. I usually use my stand mixer with the dough hook, but if you’ve got some aggression, mercilessly beat up your dough for about a minute. You want dough that is pliable and only the slightest bit sticky. From here, you’ll divide up your dough if you’re making more than one loaf, roll it out, and shape it into a loaf (handy tips here!). Then you let it rise a second time, and then you bake it. 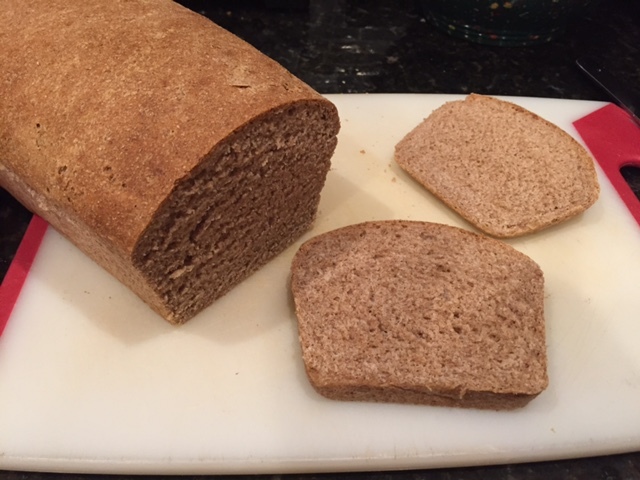 Recipe and full credit to Deliciously Organic for my favorite honey whole wheat bread found here. Or you pull out a loaf that is burned on the outside and raw in the inside and you set off the smoke alarm and everyone refuses to eat it. This is not something I tell myself. I’m an adult! I’ve made my mistakes and buried them deep in my past! It’s not okay for me to make mistakes! That’s why I was so disheartened when my first loaf of bread didn’t turn out. I put so much into it: clean ingredients, love, hopes and dreams, time. Time. Time. Time. I know I could go out and buy a loaf of bread from the store, but it wouldn’t be my bread. It would be someone else’s bread that I was giving to my family. I needed to conquer bread. And eventually I did – late at night, when everyone was asleep, so no one could join in my victory. My sons missed an opportunity to watch me fail (and fail) and eventually succeed. And that’s the thing about mistakes – it’s okay to make them. We have to make them. We have to learn from them. I don’t want my boys to grow up with perfectionism as their only goal. As much as it will pain me to watch it, I want to see them fail. I want to see them screw up and fall apart and put themselves back together. I want to model that process for them. Mistakes are hard. Bread is hard. But work at both and you’ll be the person/baker you need to be. And eventually, you too will make bread that doesn’t have a gaping hole of raw dough in the middle. You might go back to buying bread at the store the very next day, but for that moment, you will serve your family the bread you made. You will watch them find nourishment in something that you worked hard to make for them. And, just for that moment, you can catch a fleeting glimpse of perfection. Then, most likely, the baby will throw up. J – as usually, I love this (and you!). I have trouble with whole wheat bread, which is unfortunate, since I have quite a bit of wheat flour (it goes in dog biscuits). My last loaf was heavy, I didn’t care for the taste. I will try again – you have inspired me!